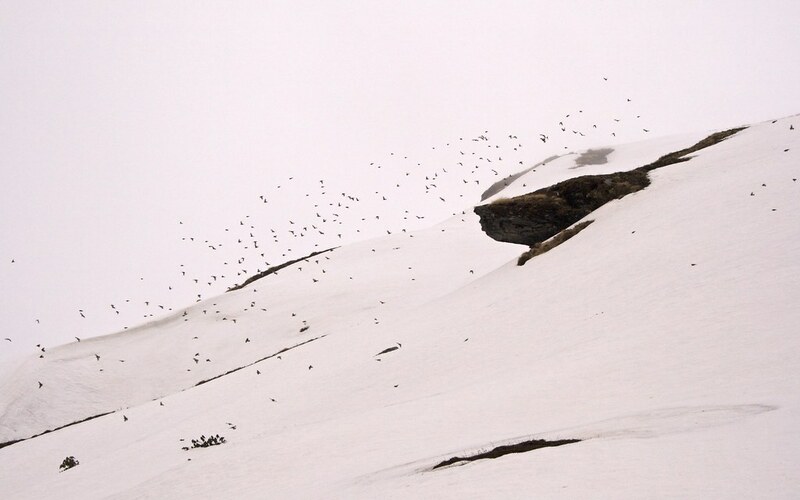 Few friends from the company decided to visit the snow slopes of Himalaya in the month of April 2011. 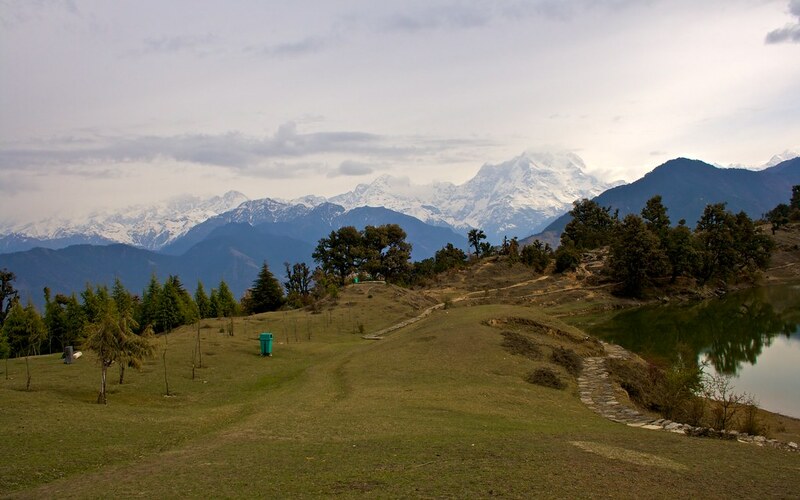 Our plan is to visit the beautiful Chopta and camp at Deoriatal and pay homage to Tungnath. 8th April, 2011: We left from Delhi on Friday. After having dinner at home I reached Kashmiri Gate ISBT at 9 PM. We decided to take a Volvo to Dehradun, since it will help us with some good sleep and help restore energy. The ticket price was INR 440 per person. At 10.30 PM the bus left Delhi and we went to sleep. 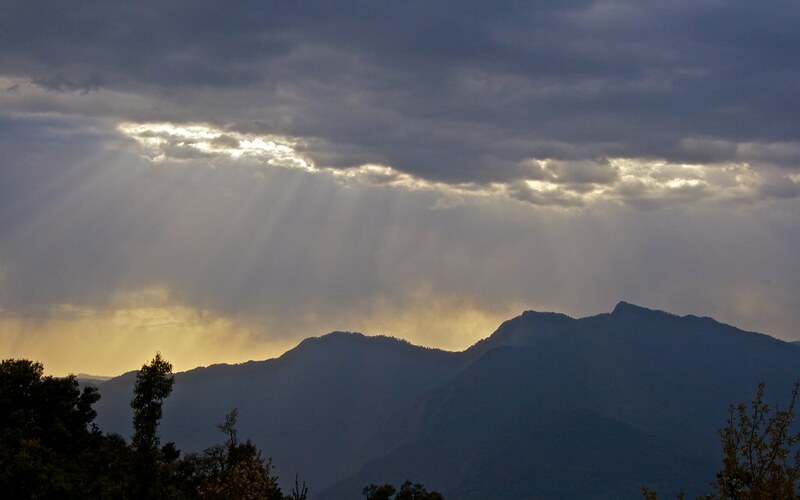 At 5 AM early morning we reached Dehradun. It was chilling cold compared to hot weather in Delhi. We quickly put on our warm clothes and reached the car waiting for us. We had already booked a Scorpio for the trip to Saari Village from Dehradun. After having tea in the bus stop we left for Ukhimath at 5.30 AM. The journey up to Ukhimath was quite comfortable and smooth. We reached Ukhimath at around 1 PM. We decided to go straight to Saari Village. 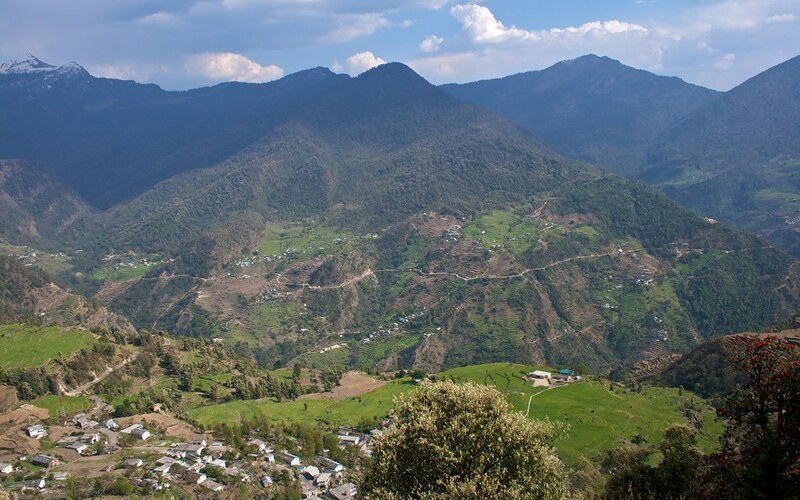 Saari Village is 10 km from Ukhimath. We had good lunch (roti, vegetables, dal, rice and boiled eggs) and took 20 minutes rest after that. While we stretched our legs after the long road trip we also tried hands on carom at the restaurant. Soon with full stomach we started hiking up to Deoriatal which is a steep 2.5 km hike from Saari Village. 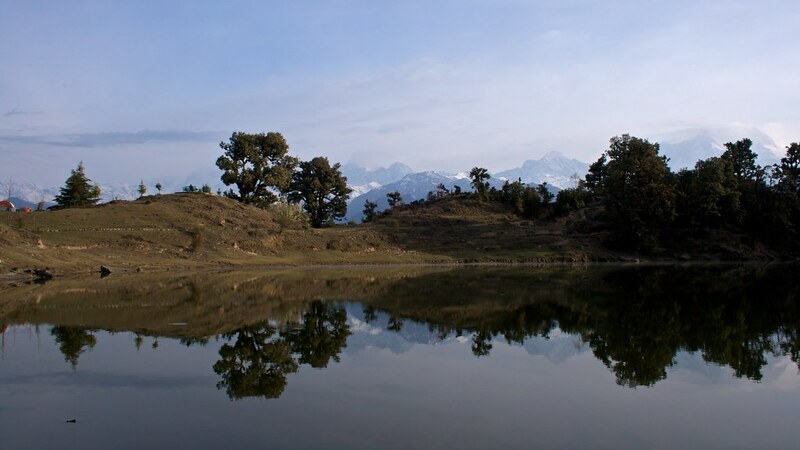 Deoriatal is a small lake atop the hill above the Sari Village which is 10 km from Ukhimath. 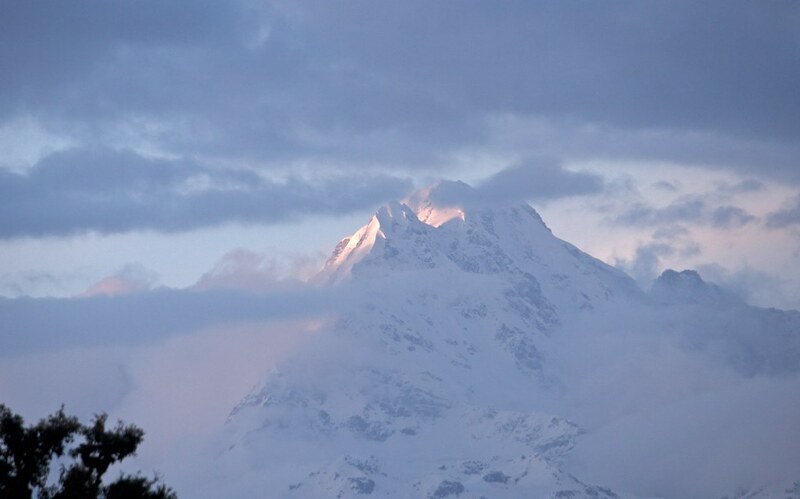 The lake boasts awesome Himalaya’s reflections and views of majestic peaks from the top. 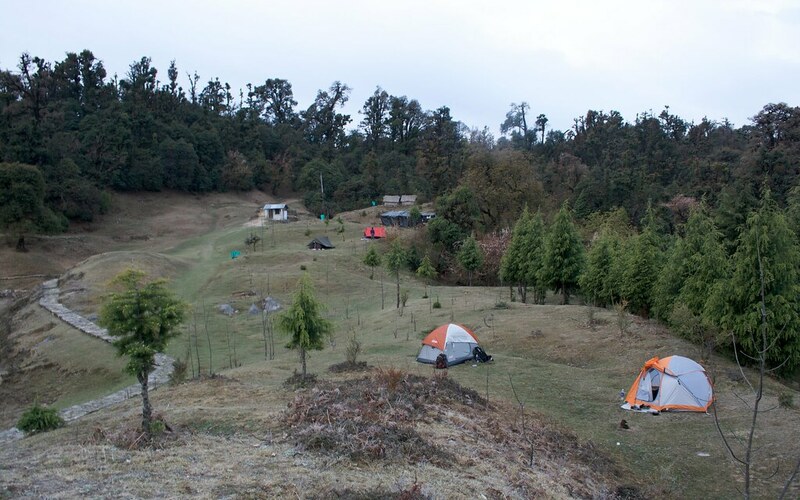 The campsite is well maintained and charges are INR 150 per tent and INR 50 per person. The going was quite tiresome since we were carrying all luggage which included tent, sleeping bags, personal items and food items with water. The heavy lunch added to the misery in the hot midday sun. After hiking for 20 minutes we reached a small temple above the village. We rested for few minutes and started again. We stopped again in the slopes for some photo opportunity. The Sari Village looked like a small spec after half an hour hike. After almost 3 hr. we reached the top and could see the beautiful lake. The cloud cover over Himalayas did not allow us to see the majestic peaks, but the cool climate and greenery of the area was simply mind boggling. We found a nice campsite and decided to camp. We completed all setup within half hour and then unpacked for a trip around and photo-sessions. The rest of the evening we spent moving around the lake as the clouds played hide and seek. The distant peaks showed of momentarily and disappeared again. It was getting dark quickly and we gathered fire woods for the cooking. We prepared magi and enjoyed the hot self-served dinner. After dinner we cleaned the pots and pans and it was time for some night photography. We tried some shots of the partly cloudy sky and also some light painting. 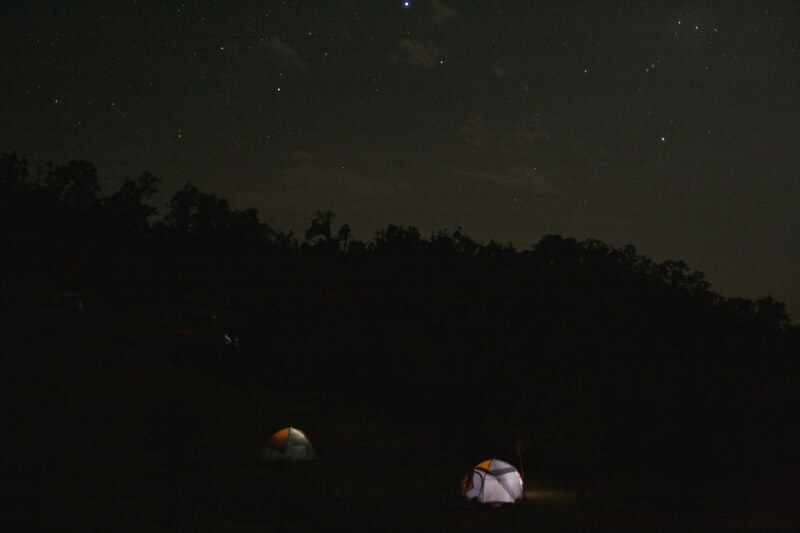 We used torches to artificially light up our tents which added a nice contrast to the picture. 9th April, 2011: We woke up early morning but sadly we did not get a clear sky. However the chill in the air was fun and we enjoyed a lot. We took snaps of reflection on Deoriatal and had more fun while one our friend lighted fire for some much needed warmth. So at 8.30 AM we were all packed up for trek down to Saari Village. 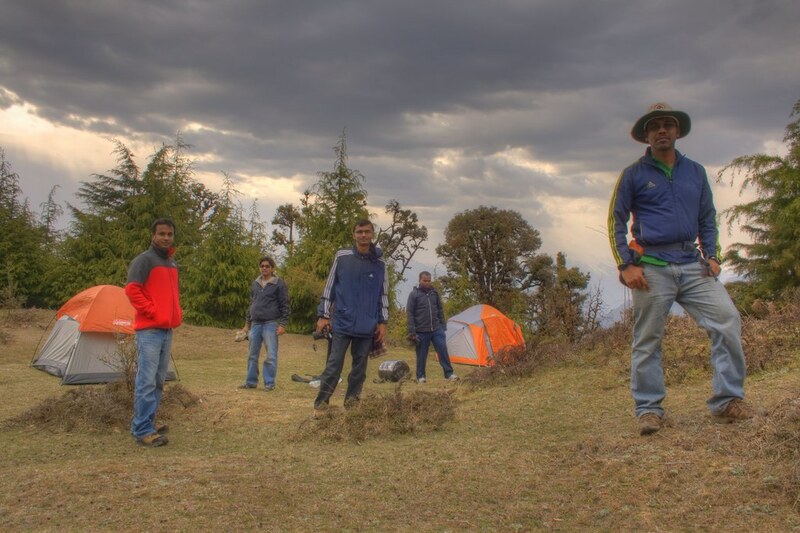 We clicked innumerable shots before leaving the beautiful alpine campsite. Climbing down to Saari Village from Deoriatal was quite easy and reached down in 45 minutes. 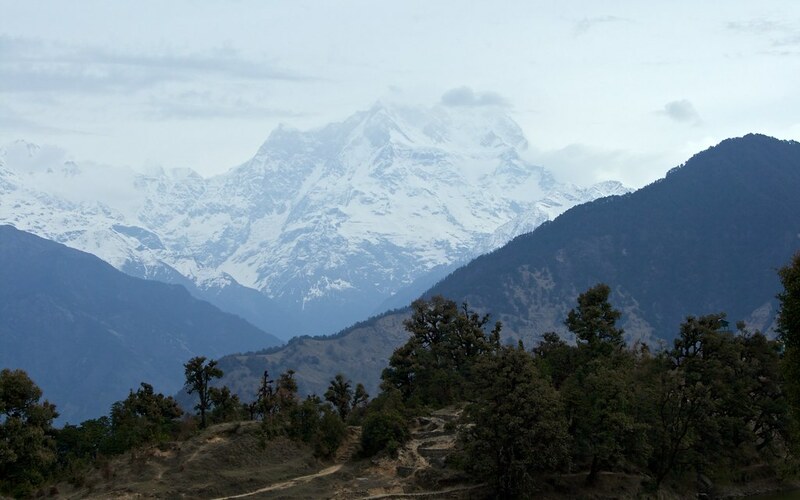 The view of imposing Tungnath and Chandrashila from the trail was beautiful. Soon after descending to Saari Village from Deoriatal, we went for refreshment and then brunch. The menu included Aloo Parantha, Pudina Chatni and boiled eggs. It was around 10 AM when we were all ready to drive to Chopta through the scenic state road amidst green forest. 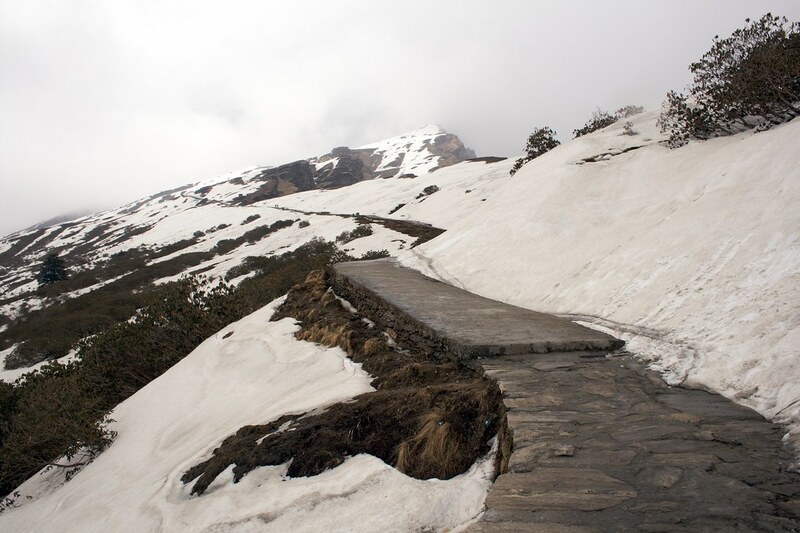 Our Destination is now Tungnath. The drive on the hard top road which was so smooth with the cool breeze in the greenery was simply awesome. 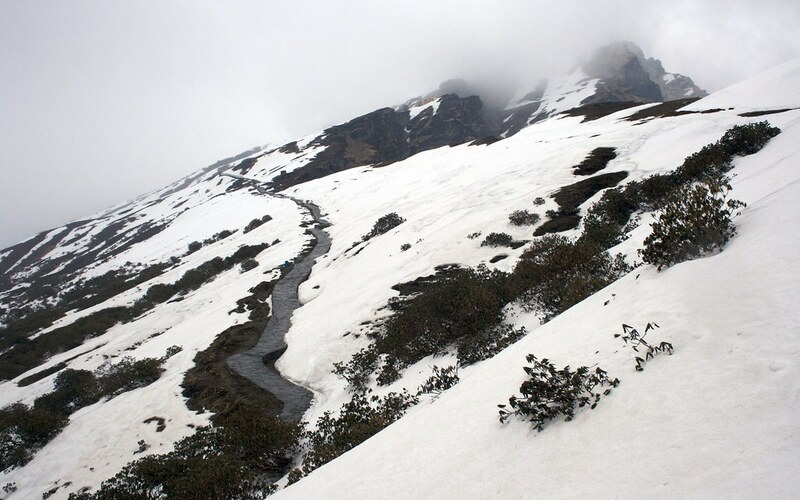 Chopta drive is one of the best drives to enjoy in the country. Biking is a great thing to do here. We stopped several times to enjoy the scenic road. After 1 hr. drive we reached Chopta. 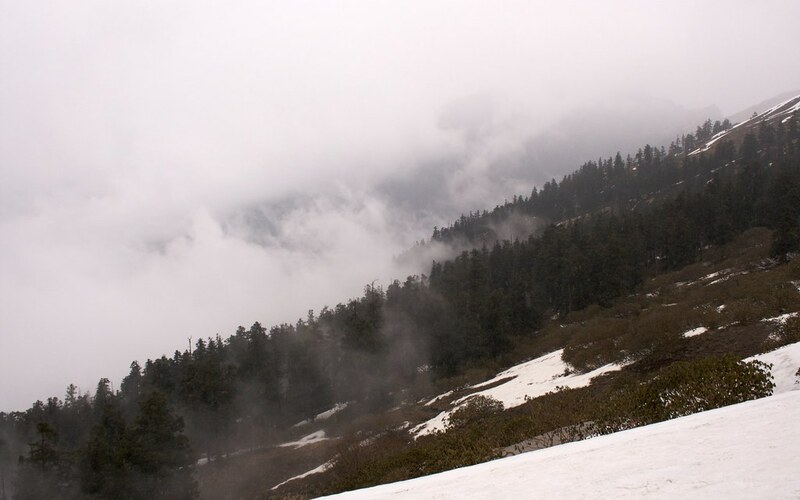 It was clearly colder in Chopta. 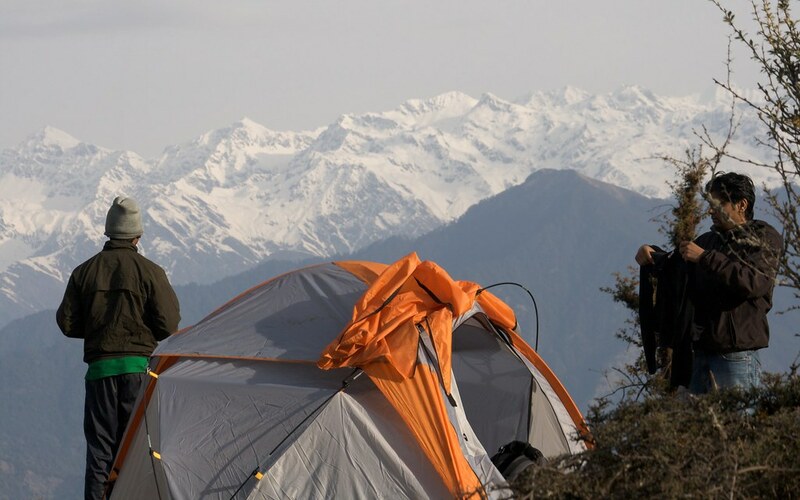 We talked with local people who told that camping is not possible due to snowed out condition in Tungnath. 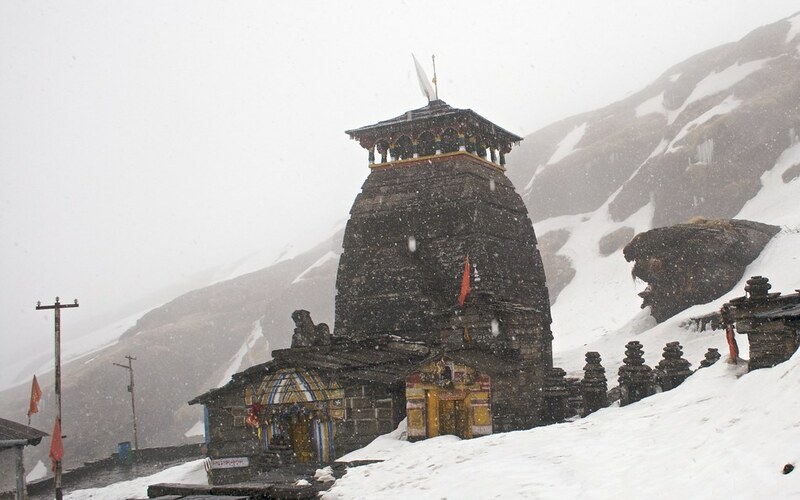 So we decided to go to Tungnath and check out the things and whether Chandrashila is possible or not. We started the hike after half an hour. We enjoyed some hot tea and snacks at the road site foot joint while the cold wind was biting us. 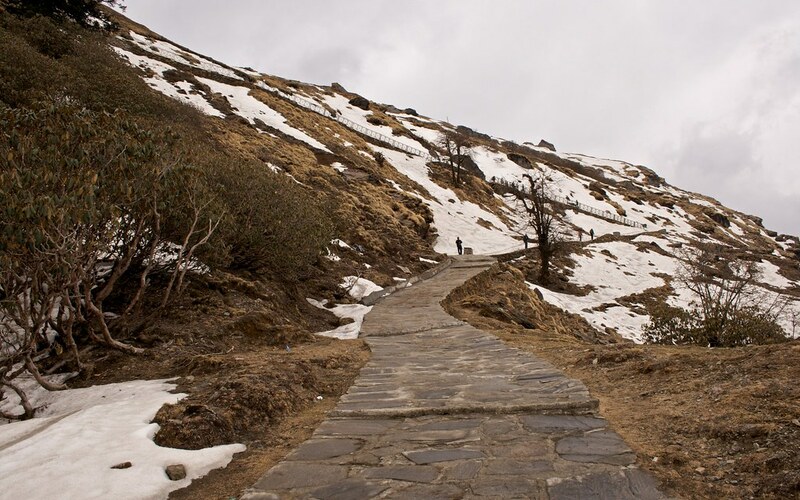 Trail to Tungnath is pretty smooth climb. The initial stretch was green with blooming rhododendrons all around. It was a scene to behold. 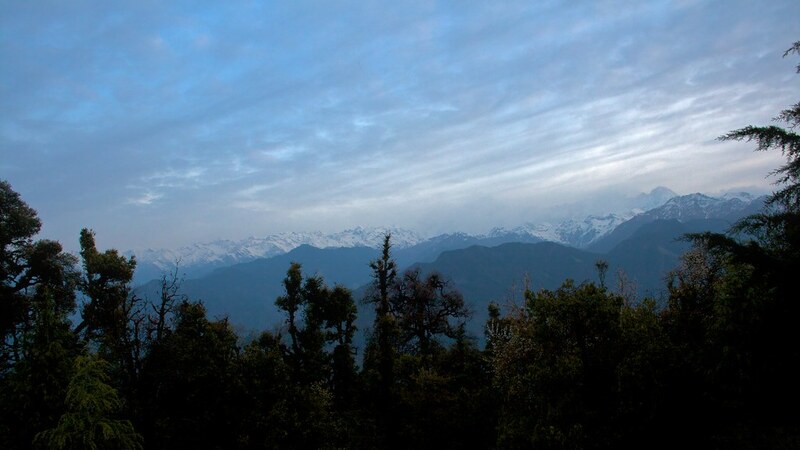 Chopta Valley is an awesome visit in April for rhododendrons. The trail soon changed to snow after half an hour. Now the trail is becoming steep at sections and snow is making things difficult. Final leg of the Hike is completely snowed out. The temple can be seen and it’s looked beautiful. 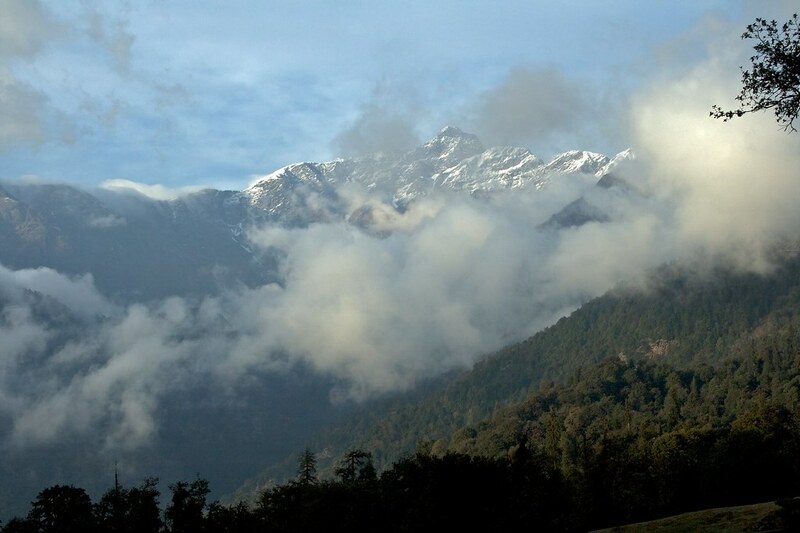 The Chandrashila summit was covered in clouds. It looked dark around and possibility of snowfall was increasing. 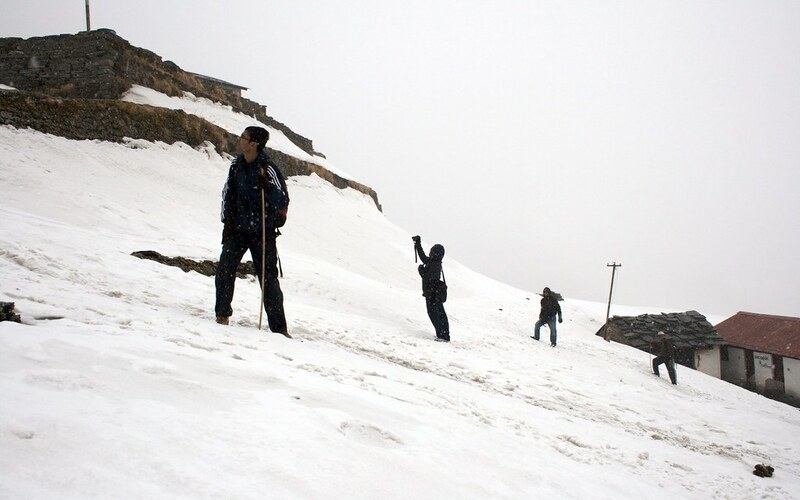 We reached Tungnath after an hour. We clicked several pictures and the chance of going to Chandrashila looked bleak. Soon it started snowing. We took shelter in the temple. After almost an hour the snowing stopped and we started the walk down. 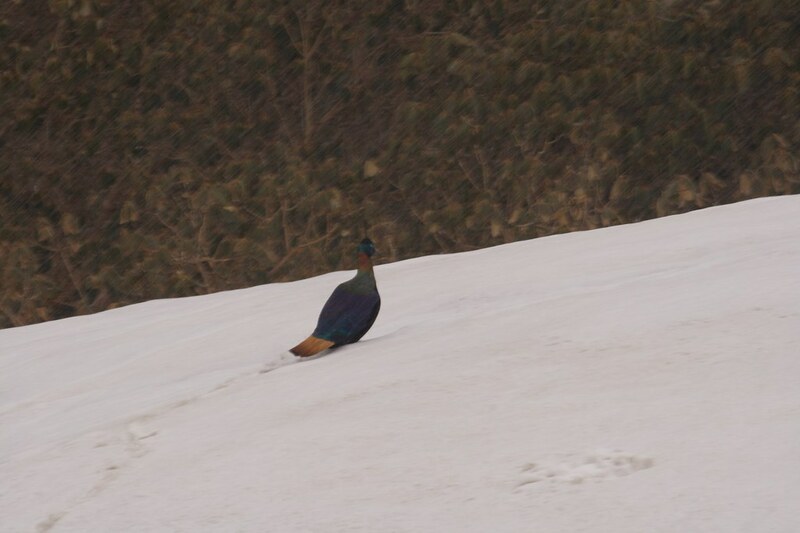 While moving down we saw the Himalayan bird monal. It looked so colorful but alas the lack of light in the surroundings did not result a good shot. We moved off the trail to chase the monal for some good shots. Then after an hour we reached the starting point. We decided to head back towards rishikesh so that we can end with a rafting trip in Ganga. 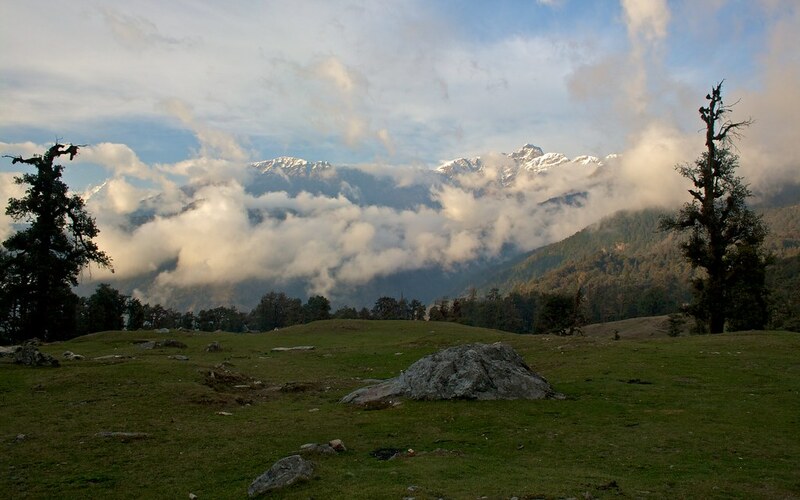 Soon the weather opened up and the sun was shining on the green meadow of Chopta. 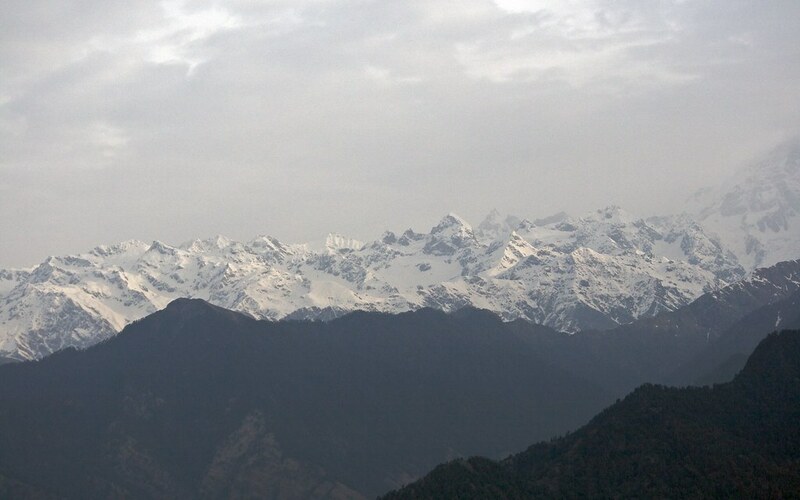 The Himalaya was clear and everything looked so fresh. 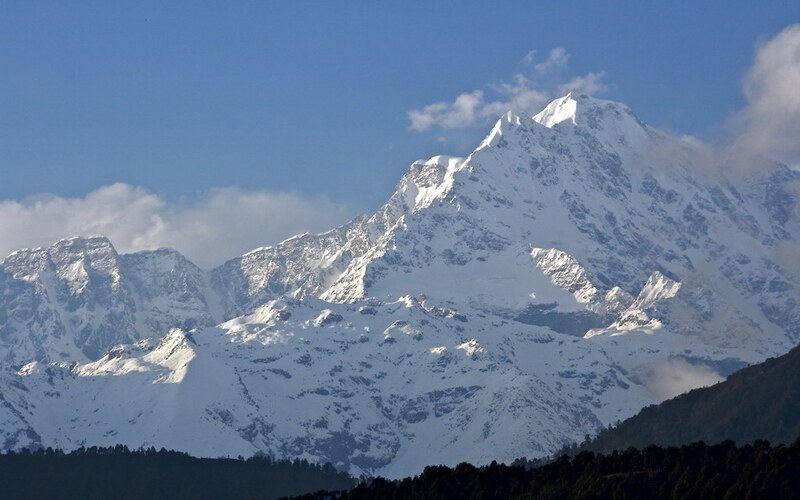 We know why this is one of the most beautiful scenes in Himalaya. 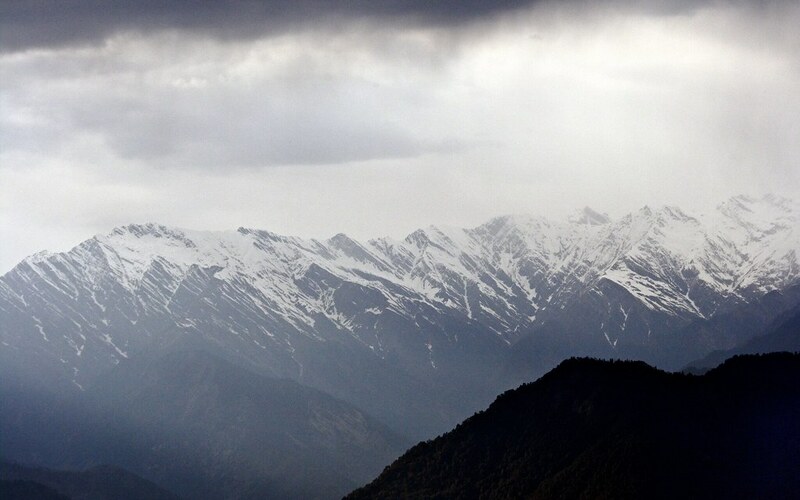 Chopta is a must visit again. We started the long drive and reached Srinagar and stayed for the night. 10th April, 2011: We continued onwards and completed 30 km part of the journey on raft in the mighty Ganges before boarding a bus to Delhi from Dehradun. Useful Information: This trek is an easy do it yourself trek. No guide or route finding required. 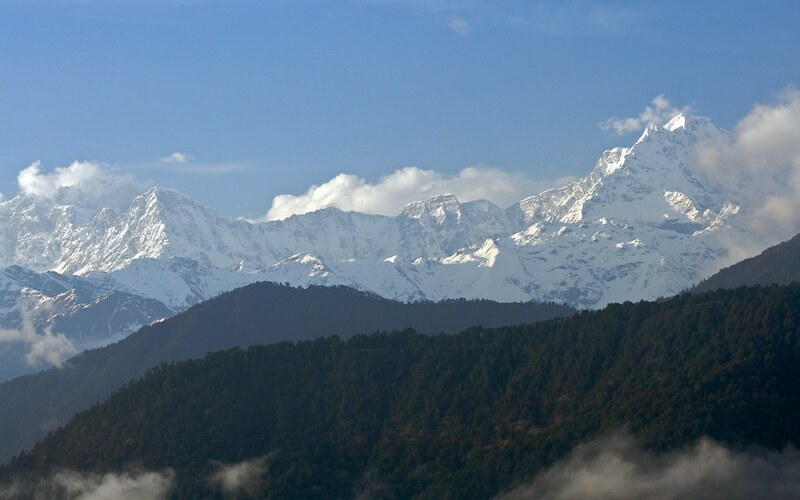 This can be your first Himalayan Trek. 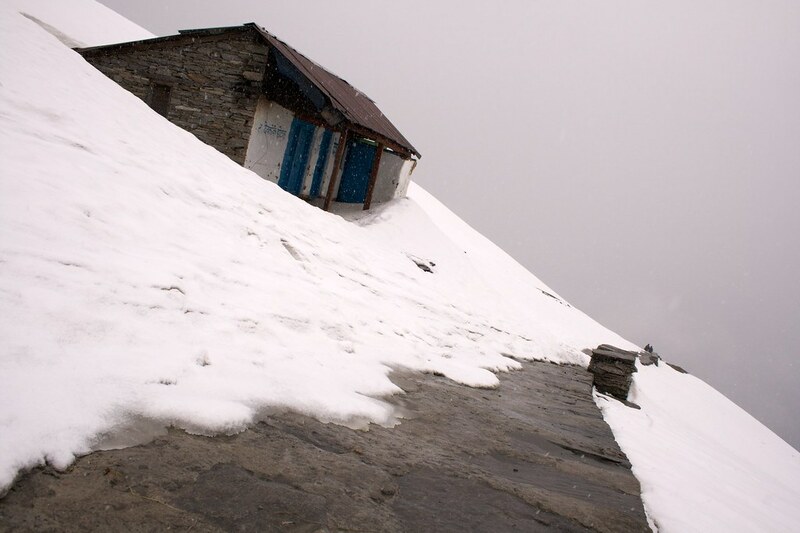 Accommodation available in Detrital and base of Tungnath or at Chopta.